I can’t help but think that some cities in England do not sound like a nice place to visit. I blame being a football fan. When I thought of Hull, Leeds or Carlisle I immediately thought of the football team and it made me feel the cities also sounded either drab, boring or dangerous. But I have been to all of these cities and it isn’t the case at all. Although Middlesbrough really is as bad as it sounds. 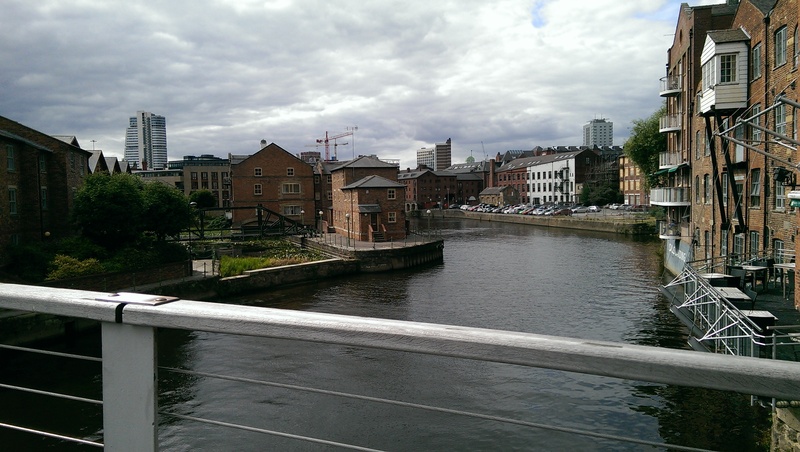 We recently spent a night away in Leeds staying at the Ibis hotel, which was only a 10-15 minute walk into the city centre. The hotel was cheap and simple, so we couldn’t complain. Our usual chain of choice, Premier Inn was too pricey for this location and date. 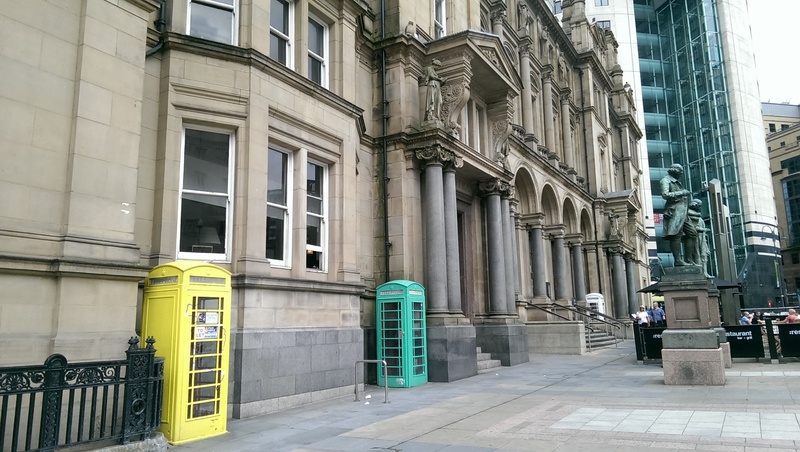 The city of Leeds is filled with high rises ranging from hotels to offices, apartment blocks to shopping malls. Also nearly everywhere we turned there seemed to be some construction taking place. It is good to see a city prospering, as I guess must be the case in Leeds with so many new buildings being thrown up all over the city centre. We actually found it quite a confusing city to walk around, I think part of this was due to the amount of shopping malls. Trinity shopping centre appeared to be the main focus. 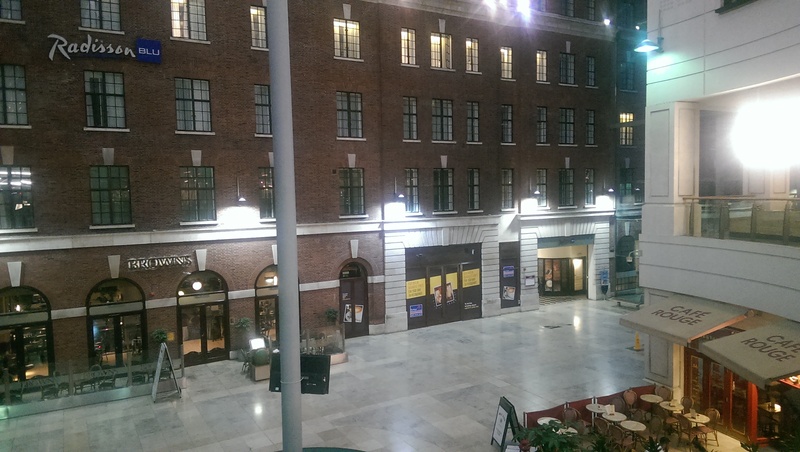 It had an unusual design of being half indoor and half outdoor and whether we found ourselves at the Core, the Merrion Centre or The Light somehow we always ended up on a road that led back to Trinity shopping centre! It’s not all about the shopping in Leeds though, there’s plenty of sightseeing too. There are beautiful old buildings scattered everywhere, such as the old post office, which is now restaurants, the corn exchange that has used its unusual oval design to incorporate dozens of small independent stores on two levels, and Leeds Kirkgate Market, which was opened in the early 19th century and is the largest covered market in Europe. As in Hull, the museum and the art gallery were free to enter, which is something we are always happy to see. Not only does it mean we don’t have to pay anything, but making them free will make more people visit and museums are here to preserve, educate and widen knowledge. 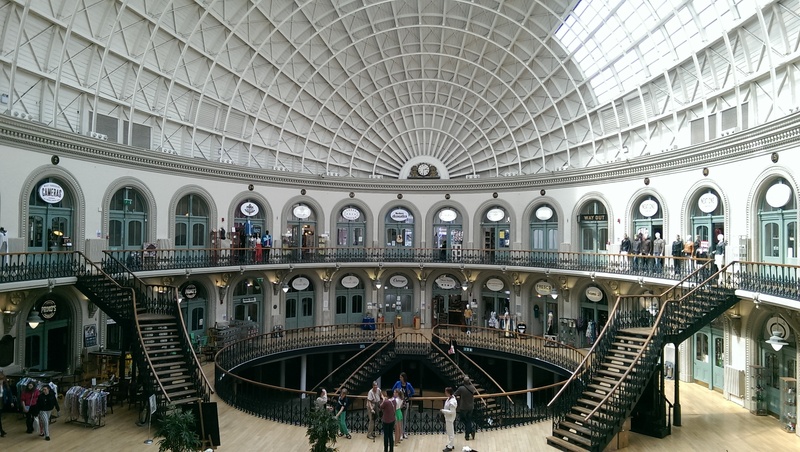 We only spent one night in Leeds, but a full weekend can easily be taken up here either exploring or shopping. Leeds is definitely a city worth visiting and with all the construction I would think this city is only going to get better.